So, exactly what is going on here? 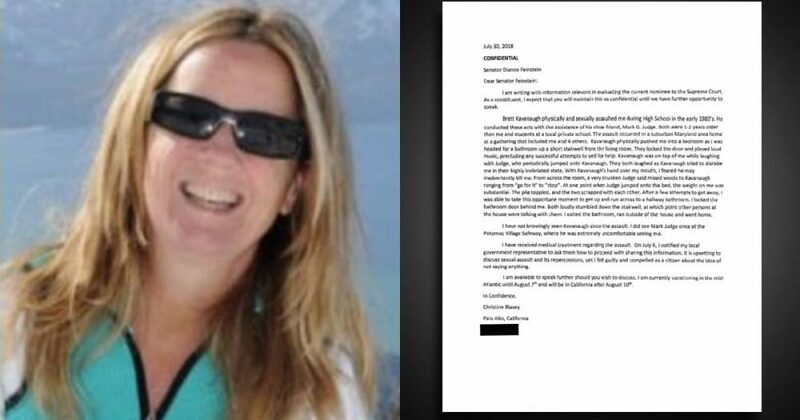 Two professional writers have evaluated Christine Blasey Ford’s letter to Dianne Feinstein and determined that it is a total fake, riddled with mistakes one might expect of an adolescent or an individual for whom English is a second language, not his or her native language. Do you recall Sheriff Joe Arpaio and Mike Zullo conducting an expert forensic analysis of Barack Obama’s birth certificate and concluding that not only is the birth certificate fake, but it is an amateurish, very poorly fabricated fake? 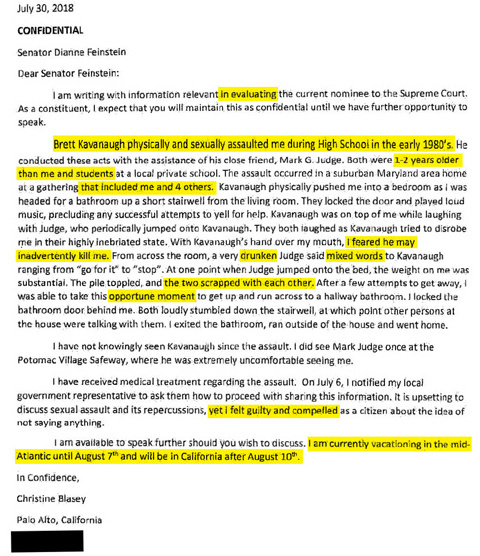 Well, the letter Feinstein claims was authored by Ford, accusing Brett Kavanaugh of sexual assault, is apparently just as fake. But, just watch, the Democrats will get away with it again. Democrats are so careless, their attention-to-detail skills so lacking and congressional Republicans so gullible that Dianne Feinstein could submit her grocery list to the Republicans and swear it is a letter from Vladimir Putin admitting that he and President Trump are homosexual lovers bent on destroying the world, and the Republicans would take her seriously, submitting to Democrat demands that this national security threat be investigated immediately. Dr. Dannielle Blumenthal, Ph.D., and Mike Adams, author of bestselling book Food Forensics and publisher of Natural News, have evaluated Ford’s letter, for which both are imminently qualified, and returned the following findings in a 14-point critical analysis. For reference, the letter alleged to have been written by Ford to Feinstein is provided and highlighted below the following 14-point Natural News list of obvious grammatical, punctuation, printing and contextual errors found in the letter. In the following video, Mike Adams explains his and Dr. Blumenthal’s critical analysis of the fake letter alleged by Dianne Feinstein to have been authored by Christine Ford.